One of the best camera backpacks for both professionals and amateurs alike. 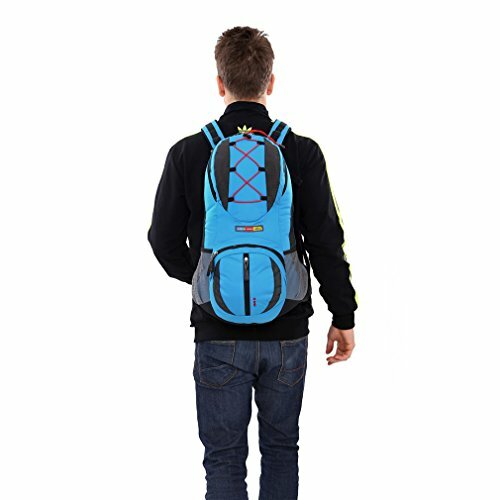 The price is super affordable, and the functionality of the backpack, unmatched. Bought this last year for my new hobby, which has now grown into a full-time business… Still carry the backpack though. It is super convenient. Both the inside and the outside are full of easy-to-readjust compartments and dozens of zipped pockets, pouches and several straps. The shoulder straps are easy to readjust, as well as those for the chest and waist. If you develop the habit of using them all at once, your gear will be ultra-protected, regardless of how you move. The inside also includes pouches that readjust, which is super convenient for transporting different pieces of equipment. 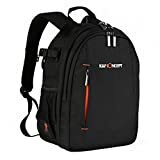 As my business grows, and I buy new items, I only have to rearrange the pouches and the Amazon Basic black backpack is once again up to the task. On the outside though, you have two flap pockets on each side, which if you like to work on the open, are super convenient for outdoor photography. You can easily maneuver with small items like chargers, SD cards, and batteries. 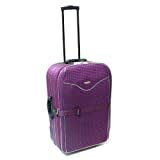 Then, you have also two zipped pockets, convenient for carrying a number of things. Camera equipment requires, first and foremost, safety during transport. 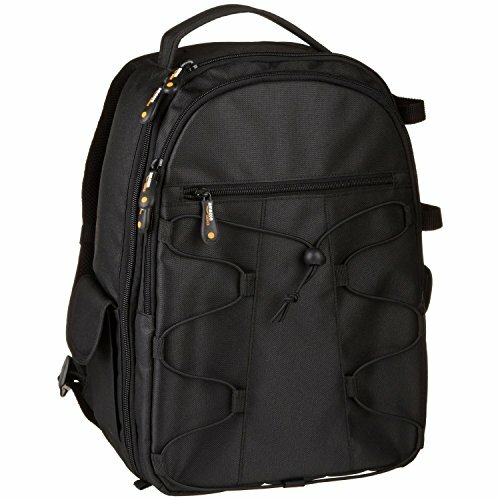 And this Amazon Basics Black Backpack provides the necessary protection, and then some. All of the inside compartments are sufficiently padded, and there are dozens of straps for additionally securing each item. Regardless of how you carry the backpack, and how you tend to move, all of your equipment will remain intact. With over 1000 customer reviews on Amazon, the consensus is that you have to have this bag. 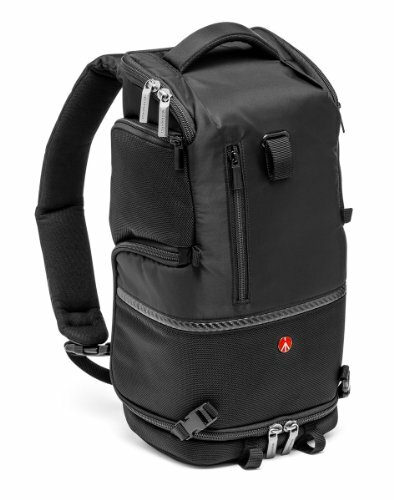 Whether you are only starting with photography, and bought your camera just for taking pictures of your kids growing up, or want to delve into the industry seriously, this backpack is definitely recommended. 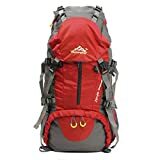 I’ve used this backpack for almost a year now, and would recommend it to anyone interested in purchasing an affordable, lightweight, and super comfortable as well as pragmatic transport for their gear.